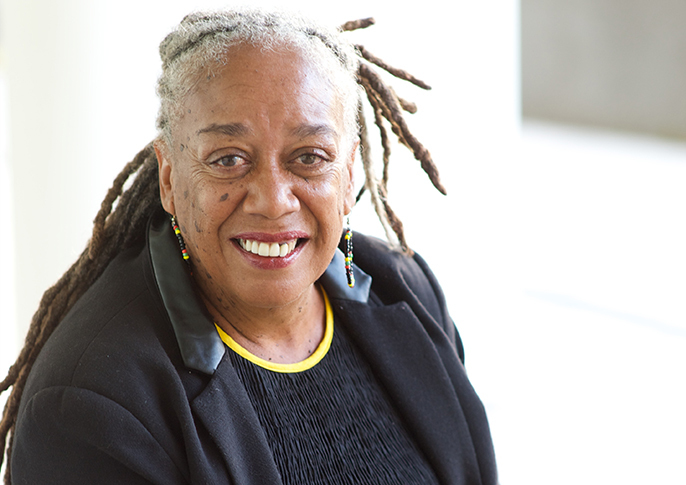 Internationally acclaimed spoken word artist and poet Jean Binta Breeze is supporting a new social marketing mental health campaign targeting people from African and Caribbean communities. From 10 October to 23 November 2014, Time to Change, England’s biggest mental health anti stigma campaign run by the charities Mind and Rethink Mental Illness, will use the campaign to exploring the theme ‘forget the label...just listen’. Binta Breeze has been appointed as a Time to Change media champion through the support of cultural organisation renaissance one. The campaign will use marketing, social contact (which creates opportunities to learn from someone with a personal experience of mental illness) and social media to help end mental health stigma and discrimination in African and Caribbean communities, and will be supported by radio adverts and interviews. A regional partnership between Time to Change, the London Borough of Lambeth and Birmingham and Solihull Mental Health Foundation Trust, the Time to Change campaign will be launched in Lambeth on 10 October and Birmingham on 16 October. The London launch of the campaign will be at Lambeth Town Hall on Friday 10 October and will feature presentations from Time to Change director Sue Baker, Lambeth Councillor Jacqui Dyer and Dr Colin King, founder of the Black and Asian Coaches Association. On Thursday 16 October, the Birmingham launch will take place at the leading intercultural arts centre The Drum, with BBC West Midlands’ Nikki Tapper, Birmingham City Council's mental health champion Councillor Paulette Hamilton and Reverend Deborah Harrison, founder of the Gospel Express Academy. Arts and crafts stalls, barbering activities a pampering zone featuring massage and nail treatments and short film screenings will also feature. Binta Breeze, who will perform at both launch events, said: “I have found writing to be really helpful throughout my life as a way to express my own innermost feelings, which helps a lot with my wellbeing. When I am performing I wish the audience to be aware that suffering from mental health issues does not mean a lack of creativity or intelligence. Tailored events promoting mental health awareness in London and Birmingham are expected to attract over 2000 people, with volunteers making contact and engaging in thousands of stigma challenging conversations.